Will the Middle East Lose Its Importance in Washington? The geostrategic importance of the Middle East is vastly overblown. The region matters to the United States chiefly because of its influence in the world oil market, but that influence has been in terminal decline for a generation, a fact almost wholly unnoticed by outside observers. 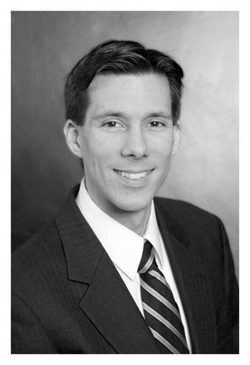 Paul D. Miller, assistant professor of international-security studies at the National Defense University. In two decades or so, the global oil market and the Middle East's geopolitical influence will be dramatically different from what they are today. … The importance of this development cannot be overstated. It is a tectonic shift in the geopolitical balance of power, a strategically pivotal development only slightly less momentous than the fall of the Soviet Union. It is the slow-motion collapse of the Middle Eastern oil empire. can and should begin to adapt its foreign policy to reflect these realities. It can look with more complacency on the rise and fall of particular regimes across the Middle East and North Africa. … The changing realities of the world energy market do not mean the United States can or should ignore the Middle East. Certainly, Israel's security and Iran's behavior will keep the region a focus for policy makers' attention. But, placed in a global perspective, the United States has more or deeper interests at stake in other regions of the world—especially Europe and Asia—than in the Middle East. This argument is belied by several facts. 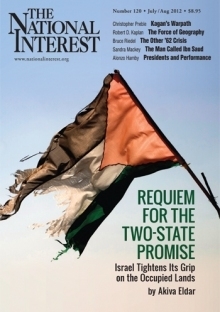 First, the very cover of the July/August issue of the National Interest, with a tattered flag and a lead essay titled "Requiem for the Two-State Promise: Israel Tightens Its Grip on the Occupied Lands," negates Miller's point. Passions about the Arab-Israeli conflict have only remotely to do with oil. The anti-Zionist forces that rallied in Durban in 2001 and the pro-Israel forces that rally each spring at the AIPAC policy conference devote roughly zero percent of their thoughts to oil, gas, or any other hydrocarbons. Second, Islamism, as the only dynamic utopian and totalitarian ideology extant in the world today, and which largely originates in the Middle East, presents a civilizational danger only somewhat connected to oil (the appeal of Islamism will probably decline along with revenues). Third, the region, located at the center of the inhabited world, bristles with dangers, including tyranny, violence, WMD, and war. These affect everything from sea lane security to refugee immigrants to domestic security arrangements (take a walk around the White House for a vivid demonstration of the latter). Only in the Middle East are whole countries in danger of extinction. Several countries have descended into anarchy, including Afghanistan, Iraq, Lebanon, Somalia, and Libya. July 2, 2012 update: Clarification: Several readers have objected to the AIPAC reference above, noting that both the American Israel Public Affairs Committee as an institution and they individually do indeed care about energy. Of course they do. My point is that energy concerns do not explain AIPAC's power or the enthusiasm of its members. Should the day come that the Middle East becomes geostrategically as unimportant as Miller predicts, this development will have minimal impact on AIPAC and its supporters' focus on the region. Energy is a global commodity, so that instability in any part of the world drives up the prices globally. Americans still import nearly as much crude oil from the Persian Gulf as before and, as a percentage of total imports, the Middle East is about at the 20-year average. If the shale oil revolution means a loss in any region, Blas concludes, that would be West Africa, the region that has seen the largest reduction in U.S. oil imports. "Oil shipments from countries such as Nigeria and Angola have halved as they produce exactly the same kind of high quality, low sulphur crude oil as the US shale fields." It is … time to give the myth that U.S. presence in the Middle East is tied to its dependence on imports of the region's oil a decent burial. The U.S. is not very dependent on oil imports from the Middle East. In fact, it never has been. Today only nine percent of U.S. oil demand is met by imports from the Middle East. Indeed, imports from the Middle East have never exceeded fifteen percent of U.S. demand. Most U.S. oil imports originate from the Western Hemisphere: Canada, Mexico and Venezuela. Mexico's recent historic energy reform is likely to increase the flow of Mexican oil to the U.S. and hence decrease even further U.S. dependence on Persian Gulf crude imports. While the U.S. is not dependent on the Middle East for the physical supply of oil, it is dependent on the region for price stability. The U.S. economy is highly susceptible to spikes in oil prices. Over the past forty years every major hike in oil prices was followed by a recession and most of those spikes occurred as a result of turmoil in the Middle East: The Arab Oil Embargo, the Iran-Iraq War, the Iraqi Invasion of Kuwait, etc. Oil is a global commodity with a more or less global price so when oil prices spike, the U.S. is impacted regardless of how much of its crude comes from the Persian Gulf. For example, in 2011 the war in Libya caused oil prices to American consumers to spike by 25 dollars per barrel despite the fact that the U.S. imported no oil from Libya. Therefore, even if the U.S. miraculously became self-sufficient in oil it would not be shielded from the world market, as were not other countries that used to be self-sufficient at one point or another like Canada, the United Kingdom and Norway. What America cares about is not the origin of its oil but its price. And the global price of oil is largely affected by the political events in the Middle East. Therefore, as long as oil enjoys a virtual monopoly over the global transportation fuel market it is difficult to see how the U.S. could afford to withdraw from the Middle East, even if its imports from the region dropped to zero, and leave the world's largest pool of oil in the hands of unstable regimes. A diminished reliance on energy imports should not be confused with full energy independence. But the U.S. energy windfall should help put to rest declinist thinking about the United States. Moreover, the end of U.S. dependence on overseas energy supplies -- and on the producer countries with which Washington has often had prickly relations -- will grant the United States a greater degree of freedom in pursuing its grand strategy. But the United States will remain firmly linked to globalized energy markets. Any dramatic disruption of the global oil supply, for instance, would still affect the price at the pump in the United States and derail growth. Washington will therefore maintain an interest in preserving the stability of international markets. Nowhere is that truer than in the Middle East, where vital U.S. interests -- in preventing terrorism, countering nuclear proliferation, and promoting regional security to protect allies such as Israel and ensure the flow of energy -- will endure. So will the need to police the global commons, such as the major sea-lanes through which trade in energy and other goods flows. The End of Carbon Fuels?